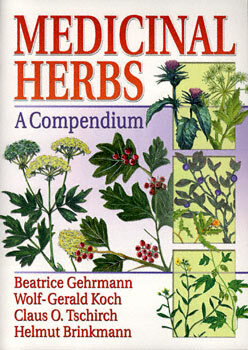 Medicinal Herbs: A Compendium contains profiles of about 200 important and commonly used medicinal herbs. The book includes critical comments concerning application, herbal tea preparations, contraindications, adverse effects, and interactions with other drugs. With this guide, pharmacists and health practitioners will be able to quickly find information on medicinal plants and directions for their use. "If you have hever been in a situation where you're drawing a blank on an herb's correct dose or a contraindication, you'll now be able to find it in this book, which is designed as a quick fact-checker for the experienced herbal practitioner." "I highly recommend this very interesting compliation of herbal information....A on-of-a-kind synopsis of 200 commonly used medicinal herbs, which includes, among other things, the common and Latin names of the herbs, a listing of the major uses of each herb, how to easily make preparations for use, plus contraindications and side-effects. The book is simple, easy to use, and contains a wealth of information beneficial to the consumer or others desiring a 'snapshot' of information on each herb."